A Re-Examined Life | Canberra girl’s mission to live a more natural, sustainable life. 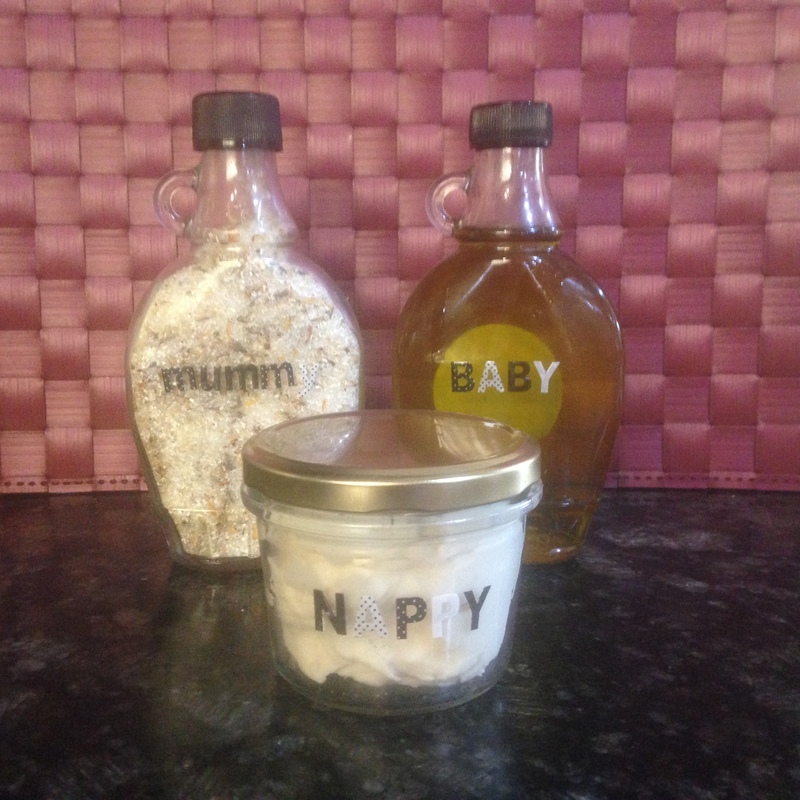 Natural skincare – why I’m into it….. I could spend many hours talking on this subject, but for today I’m giving you 3 very simple reasons why I am totally into natural skincare. Affordability-ness: Now this may not necessarily be the case if you are looking at the high-end natural/organic ranges, but it is definitely the case if you are making them yourself (or, you know, ahem, purchasing them from someone local who hand-makes them and sells them at very reasonable prices :)). Many products on the market today have like a thousand ingredients in them, a lot of which I have never heard of, and I am never quite sure why. In my experience, amazing skincare/beauty products can be made very simply, with minimal ingredients, and often from items you probably already have at home. 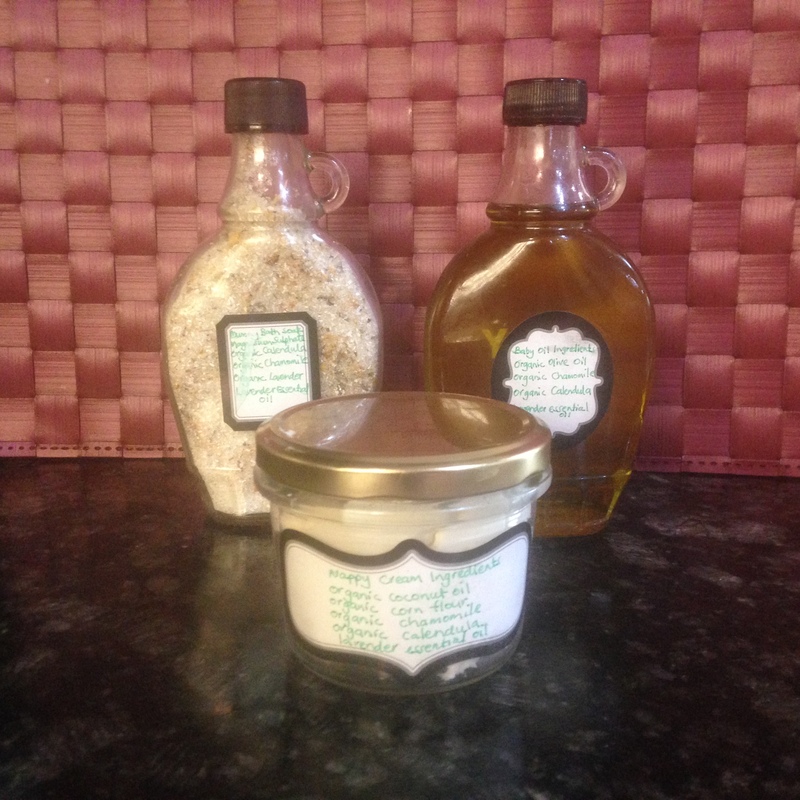 For your body: Oatmeal bath – An oatmeal bath will leave your skin silky smooth, and is also particularly good if you have any type of skin condition like eczema, psoriasis, sunburn, or even insect bites. For this one you will need about 1 cup of rolled oats, and an old pair of stockings (if you don’t have an old pair of stockings, you could use any kind of thin cloth like a muslin, or a thin tea towel or old pillow case). Step 1: Cut a piece of stocking (or other material) so that it will be big enough to hold the cup of oats, remembering to leave enough material to tie up the end. Step 2: Pop in the oats, and tie up the end of your oat-ball. Step 3: run your bath and pop in the ball of oats. Once you are in the bath, keep giving the ball a squish, you will see the cloudy oat-milk coming out into the bath. You can also use the oat-ball as sponge, and especially use if you have a skin condition, give those areas a good old sponge. For your hair: Warm oil treatment – You can use any oil you have in your pantry for this one, olive oil, coconut oil, hempseed oil, sweet almond oil, or avocado oil will work a treat. Or if you have any oils I your bathroom, you can use them too, like jojoba, castor, or apricot kernel oils. Step 1: Slowly heat some oil over a very low heat, you don’t want the oil to get hot, you just want to warm it up. The amount of oil you need will depend on how much hair you have, but you don’t need a whole truckload – I have quite a lot of hair and I use about ¼ of a cup. Step 2: Once the oil is warm, smoosh it all the way through your dry hair. Now this can be pretty messy, so cover your clothes with something, and do it in a place where it doesn’t matter if you get oil on the floor. Once I have all the oil in my hair I use a comb to make sure I have got it on every bit of hair. Step 3: Bundle your hair up in whatever way you want (I pop it all under a shower cap), then go about your business (or even better, sit down and relax) for half an hour. Step 4: Wash your hair with shampoo, do this twice. When you add the shampoo the oil it will go ultra-sudsy and delicious. You know you have washed the oil out completely when the sudsy-ness stops. Condition, or don’t condition – I would suggest giving both ways a try and see which option gives you the best hair result. Don’t overdo oil treatments, at a maximum you could do it once a week, but I tend to do it as a monthly treat. If you would like to learn more about natural skincare products, you can get along a natural workshop (presented by me!) at the Food Coop in Canberra on Saturday, the 26th of August. At the workshop, you will have an opportunity to utilise more ingredients from your pantry to make some of your own skincare products and, partake in the ultimate natural skin care routine. Tickets can be purchased via Eventbrite. I’ve made a cake that is far too delicious not be shared, and is perfect for anyone who has an abundance of homegrown fruit and is a bit over making jam 🙂 The first version I made was with nectarine, and the second was with peaches and raspberries. The vanilla cream part of the recipe only came about when making the peach and raspberry version, this was because (a) I was looking to make an Australian themed something for Australia day and decided on a peach melba version, and (b) I actually cooked it for too long and was worried it would be a bit dry. 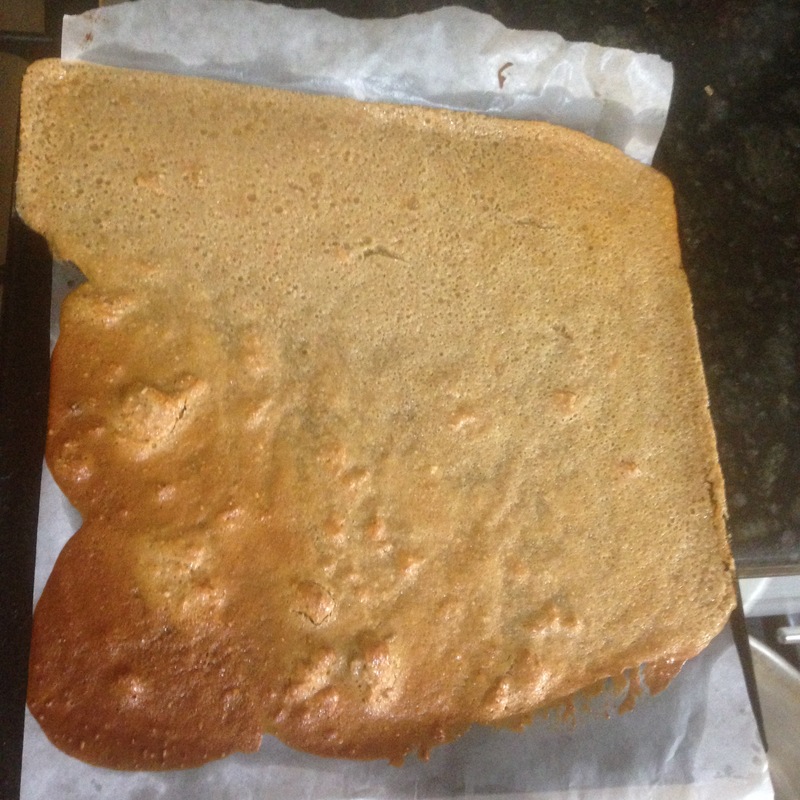 Turned out the cake wasn’t dry at all, but the vanilla cream (which is basically unfrozen, soft-as-you-like-it ice cream) is amazing, so this is one time when I am very glad I overcooked the cake. Just as a side note, for those who don’t know, peach melba is an Aussie desert named after the famous Aussie opera singer, Dame Nellie Melba. A peach melba consists of peaches with raspberry sauce and vanilla ice cream. I have no idea why the guy who invented this dessert went with this particular dessert, but I have to say, if this is what someone made in my honour, I might be a bit disappointed, it is not the prettiest dessert I have seen, a couple of examples below…. I’m sure it tastes really nice :). But anyway, back to my delicious cake. This recipe is for the peach and raspberry version, but you could use nectarines, plums, or apricots, and then in the winter I think it would be delicious with apples and/or pears, but with those fruits I would lose the vanilla and add cinnamon instead. I am a huge fan of vanilla, I use it all the time, but vanilla essence from the shops has sugar, and often other unpleasant stuff in it. In the past I’ve made my own vanilla essence, (it’s super easy – you just soak vanilla beans in vodka) but it takes forward planning as you need about a month’s worth of soaking time. So I’m also a huge fan of the a vanilla bean grinder, which is 100% vanilla bean in a salt grinder, you can purchase them in the shops, or you could make one yourself 🙂 My recipe here uses the vanilla bean grinder, if you are using vanilla essence you will probably use about 1 tspn every time I use a few grinds. You want to “marinate” your fruit (actually, I believe the ‘technical’ term is macerate, but to me the word sounds nasty, so I would rather marinate. You are very welcome to macerate yours). Chop the fruit and put it in a bowl with the sugar and a few good grinds of the vanilla bean, and set it aside for at least 2 hours, but you can leave it longer. Turn that butter into cream using an electric beater and then add the honey, egg and a few more good grinds of the vanilla bean and mix it all up. Add the sour cream and any liquid that is at the bottom of the marinated fruit bowl. Combine all your dry ingredients and mix them, quite gently, into the wet stuff. Pop the batter into a prepared cake-tin (you will probably have to use some anti-sticking stuff, I have found that just “having a chat” does not seem to prepare the cake tin enough). Now you want to add the marinated fruit all over the top of the batter, and then kind of press it in a bit with your fingers. Chuck this loveliness into the oven, keep it low to avoid overcooking (ahem), around 150c fan forced is good, and cook it for about 40 minutes, but check it after 30, the old clean knife trick will work. Once cooked let it cool in the tin as you need the fruit to ‘set’ a bit before taking it out or it will fall apart. Now get making your vanilla cream. Thickened cream – be sure to read the labels and buy the one thickened with gelatine. Whip up your cream and then slowly add your vanilla and maple syrup until it tastes delicious. Start with a couple of grinds of the vanilla, and about a tablespoon of maple syrup and just keep going until you are happy. Categories: Food, Recipes, Sweet Treats | Tags: peach melba, peach melba cake, peaches, seasonal fruit cake | Permalink. 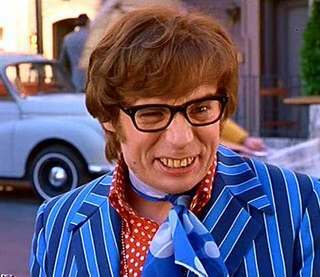 Last week, when my 4-year-old was being consulted about what we should have for dinner, he was asked if he likes fish. His reply – yes, but not fish from the ocean. Cute and funny, yes, but I figure that this same principle exists for the majority of us adults. When we buy meat, how much consideration do we give to the kind of life the lovely animal, who is providing the amazing meat, has gone through before ending up on our plates? Last year, after I watched the doco, “genetic roulette” for the first time (if you still haven’t seen it yet, get into it), I decided that I would only eat grass-fed meat and dairy products, and there is a massive trend towards this happening in society, but then I watched a few more documentaries about the livestock industry, and realised that grass-fed, doesn’t necessarily mean the animal has been treated humanely, and what about the animals we eat that don’t eat grass. At this point I decided to only ever buy free-range, or preferably organic meat. The tricky thing here, is that the labelling system used around free-range and organic meat and dairy, is not as straightforward as one would hope (which is pretty much the same for all food labelling standards!). But today I’m going to hit you with some of the things I have learned. In Australia, we have something called the National Model Codes of Practice for the Welfare of Livestock, these codes basically define what is considered acceptable treatment of livestock and they definitely provide some good, specific principles for the humane treatment of animals. Unfortunately however, these codes are not enforceable and are considered to be guidelines, and there are plenty of people who chose not to follow these guidelines and treat animals in a manner that is not considered acceptable. So today, I want to outline some of the things that may have happened to an animal on its journey from birth to your plate. 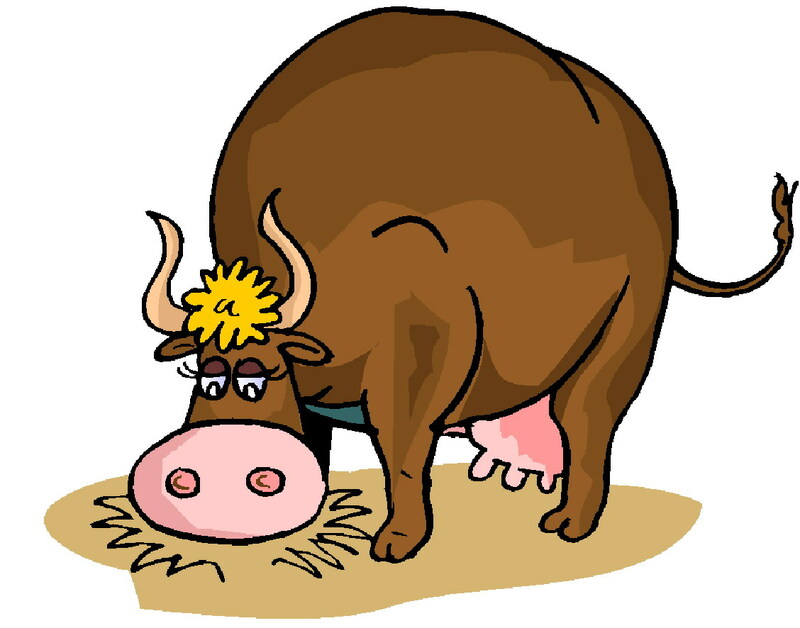 Cows – When they are still quite young, many cows are branded, which means they are burned with hot irons, they have their horns cut or burned off, and males get castrated, which means they have their testicles cut out, all without any anaesthetic. 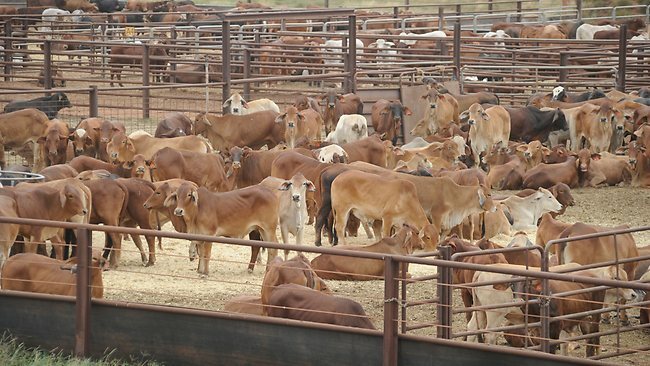 If they are really lucky, they will then be sent to feedlots, here is what a typical Australian feedlots look like. Dairy cows are repeatedly impregnated and separated from their calves so that they produce lots of milk to keep up with the demand we create by using so many dairy products. Eventually their bodies become exhausted and cannot produce any more milk, when this happens, they will be sent to slaughter. Cows are mammals like us, and they form strong maternal bonds with their babies, there have been many cases of reports where these poor mums can be heard crying out for their babies, sometimes for days. Eventually all these cows will end up at the abattoir where they can be in the head, and/or have their throat cut, skinned and gutted, it is not uncommon for the cows to be conscious through this entire process. Pigs – It is estimated that around 97% of all pigs grown in Australia spend their entire lives indoors. The treatment of mummy pigs is very sad with these poor pigs spending much of their time gestational crates, like the one below, having babies. Photos and video footage taken from sow stall sheds in Australia has shown pigs screaming and biting the bars of their stalls, some frothing at the mouth and/or suffering from injuries like swollen limbs, lameness, and open wounds. In the very worst cases, to induce early births, pigs are made to starve, given only one single small meal a day. Ear cutting – this is a method used to identify pigs and piglets, and it is usually done without any anesthetic. It involves cutting off pieces of piglets’ ears in their first few days of life. A google search can provide you with a “how-to template for pig ear cutting. Tail cutting – the industry says that this a necessary practice to stop piglets and pigs biting each others tails. However some would argue that the pigs are only biting each other because they are bored, stressed and overcrowded. Teeth cutting – the industry says that piglets require their teeth cut so that they don’t damage their mother’s teats and udder. Some would argue that under natural conditions a mother pig would be able to move or push her piglets away if they were causing her pain or discomfort, but as you can see above, the gestational crates don’t even have enough room for the mum’s to turn around. castration as with cows, male piglets can be castrated (a reminder, that means their testicles are removed) without anesthetic. Chickens – there are two types of chickens bred in Australia, “layers” and “broilers”. And when I say bred, I really mean they have been bred. Through selective breeding, today’s layers are bred so that they can lay up to 250 eggs per year. 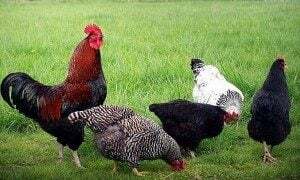 It is thought that chickens way back in the history of time, like before we started selectively breeding them, may have only laid around 2 dozen eggs per year. The layer chickens don’t grow fast enough to meet the demand for meat, so if you are a male born layer bred chicken, your life will come to a swift end. Broiler chickens have been bred to produce a lot of meat, and more specifically, a lot of breast meat. Today’s chickens weigh up to 3 kgs, which is almost double the size of chickens 60 years ago, plus their breasts are 80% larger. The chickens are also bred to reach this size in 6 weeks, whereas back in the 1950’s it took a chicken 15 weeks to reach its full growth. The accelerated growth leads to many physical problems for the chickens, particularly with reference to moving and walking. A study published by Science Daily showed that 27% of 40 day old chickens had difficulties with movement and 3.3% of them could barely walk. Even more frightening is that from these groups of chickens, farmers had already culled the “lame” chickens, so these ones were considered normal. 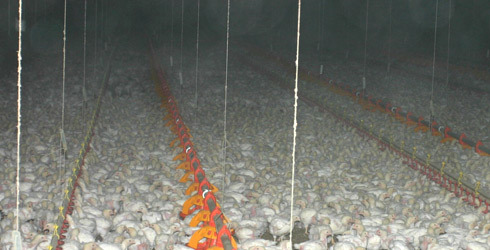 Here is a typical home for broiler chickens, the lights are kept intentionally low so that the chickens will move around less and use less energy and as a result require less food, as well as trying to reduce the amount of fighting between the chickens due to the overcrowded situation. One of the problems with buying meat from your local supermarket, is that you don’t know the farmer, you don’t see the farm and therefore you have no idea of what that animal has been through. Labelling is our only way of getting an understanding, but as I mentioned, these labelling systems are confusing. I am going to come back to the labelling next week. Your best option would be to find yourself a local farmer and get acquainted with the kinds of conditions the animals you eat are living under. As the Fair Food documentary highlights, we are the first generation of people that eats food grown and manufactured from places and people we don’t know. Fair food is another doco you should definitely see, and it provides plenty of other good reasons why you should buy your meat from a local farmer. Just in case the information above wasn’t disturbing enough, I am going to leave you with the “Meet Your Meat” doco, which is also very disturbing, but well worth a watch. Categories: Information | Tags: livestock treatment, meet your meat, reasons to eat organic meat | Permalink. Last week I was lucky enough to go on a holiday to the south coast, and I had a fantastic time, but I did struggle when it came time to eat-out, as finding a place to eat that sold something that wasn’t covered in batter, or deep-fried in hydrogenated vegetable oil proved quite difficult. So I’ve started putting together a list, but I would like to keep adding to this list FOREVER….. 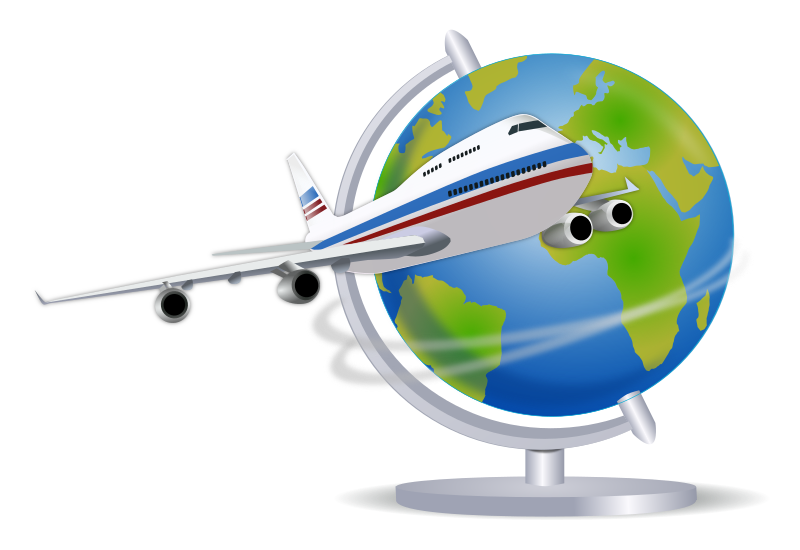 So, can I ask you to please add your favourite places from around the globe in the section below? First I thought I would list out a few of my faves for you to check out, and then after that, is the list. The list is already quite long, seriously, this is going to be the longest whole-food-eating-establishments list EVER. (Unless you are really bored and hard-up for things to do, I wouldn’t suggest reading this already-massive-and-soon-to-be-even-massiver list from start to finish, you can just do a page search and hopefully find the location you are looking for). I love this place, and that has a lot to do with the fact that I am happy to eat everything on the menu. And basically that means I am happy to eat their sweet options because, in addition to serving locally sourced whole-foods, they also have a refined-sugar free menu. Yay. They also have lots of vegetarian and gluten-free options. 100% organic, always Vegan and usually gluten-free. Always super, super cheap – lunches are a flat rate of $6 for non-members or $5 if you are a member. They keep their prices down (and reduce waste) by providing one lunch option each day, and you wash your own dishes. You can also pop in next door to the co-op shop where they stock a bunch of organic produce, the majority of which is naked (as in no packaging), once again to reduce waste. Vegetarian cafe with gluten-free options, owned and operated by students of Sri Chimnoy who was an Indian meditation teacher, their ethos is to “serve food that is nourishing to both the body and soul…”. Organic, vegetarian and gluten-free options. The cafe sits inside the organic grocery store which has a comprehensive stock of organic fruit, vegetables, groceries and beauty products. This is a great place to take the kids as there is plenty of room outside for them to run around and even little boxes of toys and books for them to play with. These guys sell all organic, vegan deliciousess with lots of gluten-free options, their coffee is organic fair-trade is roasted locally. They have multiple menus you can choose from – all day breakfast, light meals, burgers and salads, south of the border, smoothies and juices, and of course their famous baked goods. These guys are coffee roasters who sell seasonal coffee. They are coffee experts, which you will experience when you taste their coffee. They also have a fabulous whole-food menu with vegetarian and gluten-free options. From Mrs Sackville’s menu “Mrs Sackville believes strongly that contented animals, able to indulge in their natural behaviours, provide us with better quality products….” All animal products sold are free-range, organic, or biodynamic. Her bacon is also free of preservatives and she has gluten-free and vegetarian options available. And here we go with the list…. The Greatest Ever List of Whole-food Eating Establishments From Around the World. A Bite to Eat – Shop 8 Eggleston Crescent, Chifley Free range and organic products are used where possible, plus they make all their cakes daily on site. Lots of Gluten-free and vegetarian options. Autolyse and – 5/21 Lonsdale Street, Braddon. They hand make sourdough and pastries without any preservatives. They also have a menu of lovely whole-foods with vegetarian and and gluten-free options. They also have a cold-pressed juice bar at 2/21 Lonsdale Street Braddon. Local Press – 81 Giles Street Kingston. Whole-foods with gluten-free, dairy-free, and refined-sugar free options. They also now sell locally made whole-food raw treats from fuel well. Mocan and Green Grout – 1/19 Marcus Clarke Street, New action South, Canberra. Seasonal Whole-foods made from locally and sustainably produce, these guys even have a compostable kitchen waste system which feeds into the neighbourhood’s community garden. Mountain Creek Whole-foods – 14 Barker Street, Griffith. Organic, vegetarian with lots of gluten-free and dairy-free options. They also have an organic supermarket. A.Baker – New Acton Pavilion unit 2, 15 Edindburgh Avenue Canberra. Seasonal whole-foods made from local produce, as the name suggests they bake their own bread on site. Gluten-free and vegetarian options available. Sage – Gorman house Arts Centre, Batman Street, Braddon. Whole-foods predominantly sourced from the Sage Farm which grows organic, sustainable produce. Gluten-free and vegetarian options. The Ridge organic restaurant – Farrer Shops, Farrer Place, Farrer. Organic, whole-food restaurant where the entire menu is gluten-free with the exception of “regular” bread that is available. Lots of vegetarian options. Naked Treaties Cafe – 2/3 Marvell Street, Byron Bay. 100% raw, organic, vegan, gluten-free, dairy-free and refined sugar-free. Capital Wines cellar door – The Royal Hotel, 42 Cork Street, Gundaroo. Fresh, local ingredients including produce picked from the kitchen garden out the back. Pilgrims Wholefoods – Shops 4, 5 ,5, 57 Owen Street, Huskisson. Vegetarian Whole-foods cafe with gluten-free options. Pilgrims Wholefoods – Shops 8 & 9, The Settlement, Princes Hwy Milton, NSW. Vegetarian Whole-foods cafe with gluten-free options. Moruya Health Cafe -11 Church Street, Moruya. Whole-food cafe with vegetarian and gluten-free options. Goodnessme Organics – 617-621 Glebe Road, Adamstown. Organic whole-foods catering to vegan, vegetarian, gluten-free, dairy-free, nut-free. Momo Whole-food Cafe – 10 Williams Street, East Maitland. Organic Whole-food cafe with gluten-free and vegetarian options. Raw Cafe – 33 Hunter Street, Newcastle. Raw menu catering for vegetarian, gluten-free, and paelo. About life – 605 Darling Street, Rozelle. 31-37 Oxford Street, Bondi Junction. 520 Miller Street, Cammeray. 1 Kiaora Lane, Double Bay. 285a Crown Street, Surry Hills. Each of these stores has a natural grocery store plus a whole-foods cafe with lots of organic, gluten-free and vegetarian options. Henley’s Whole-foods – 9/310-330 Oxford Street, Bondi and 38 Mitchell Road, Alexandria. Paleo friendly, with their whole menu sourced locally and sustainably which means it is chemical free. Grain and gluten-free with lots of vegetarian options. Real Food Connection – 2 Sterling Circuit, Camperdown. Paleo friendly, 100% grain, gluten and processed foods-free. Sadhana Kitchen – 147 Enmore Road, Enmore. Organic whole-foods and raw foods. They even have a raw, vegan, gluten-free high tea! Ungaro Raw – 656 Darling Street, Rozelle. Raw, organic, food all refined sugar-free. A big selection of nut-free, dairy-free, gluten-free and vegetarian/vegan options. Pilgrims Wholefoods – 97 Gerrale St, Cronulla. Vegetarian Whole-foods cafe with gluten-free options. Wild Fig Whole-food Cafe – 2 Commerce Street, Taree. Whole-foods with organic and free-range animal products used where possible, lots of gluten-free, refined sugar-free, dairy-free, vegetarian and vegan options. Yong Green Food – 421-423 Brunswick Street, Fitzroy. Predominantly organic vegetarian food using eco-friendly principles. They have an extensive Gluten Free and raw food menu. Monk Bodhi Darma Specialty Coffee and Roastery – 202 Carlisle Street, Balaclava. Predominantly organic, vegan/vegetarian free with lots of gluten and sugar-free options. Admiral Cheng-Ho – 325 Johston Street, Abbotsford. Seasonal whole-food menu using mostly organic and locally sourced produce, predominantly gluten-free and vegan. Vegie Bar – 380 Brunswick Street, Fitzroy. Whole-foods specialising in vegetarian, vegan, gluten-free and raw food. Kinfolk Cafe -673 Bourke Street, Melbourne. These guys are more than a cafe, they are a social enterprise who give away 100% of their profits to charity. Their food is seasonal, sourced locally and, where possible, biodynamic, organic, and fair-trade. Green Cup – 593 Chapel Street, South Yarra. Selling green smoothies, superfood smoothies, acai bowls, and superfood snacks. Vegetarian and and gluten-free options available. Thr1ve – Shop 9, 215-221 Adelaide Street, Brisbane. Paleo friendly, with locally and ethically sourced ingredients which are always gluten-free with no added sugar. Kunara Organic Cafe – 31/77 Hudson Road, Albion. 95% organic and gluten-free whole-foods. BSKT – 4 Lavarack Road, Mermaid Beach. Organic, gluten-free whole-foods with plenty of vegetarian and vegan options. The Shack Superfood Cafe – 2221 Gold Coast Highway, Nobby Beach. Whole-foods which are predominantly all made on site, all gluten-free and refined-sugar free. Mandala Organic Arts Cafe – 4/2558 Gold Coast Highway, Mermaid Beach. Whole-foods with the priority on vegan, organic and locally sourced foods. The cafe has an established permaculture garden with fruit, vegetables, herbs, and Australian bush foods. Greenhouse Factory Restaurant and Bar – 1/74 Musgrave Street, Coolangatta. Vegetarian and Vegan raw whole-foods with lots of gluten-free options. Kunara Organic Cafe – 330 Mons Road, Forest Glen. 95% organic and gluten-free whole-foods. The Velo Project – 19 Careela Street, Mooloolaba. Fresh whole-foods with plenty of gluten-free, dairy-free, vegan and vegetarian options. Ground Organics – 7/11 Mooloolaba Esplanade, Mooloolaba. Locally sourced, seasonal whole-foods with plenty of organic, gluten-free and vegetarian options. Red Lime Shack – 158 St Vincent Street, Port Adelaide. Seasonal, locally sourced whole-foods, 100% vegan and dairy-free with plenty of gluten-free options. Enliven Holistic Health Cafe – 467A Brighton Road, Brighton. Organic cafe with gluten-free, vegetarian, raw food options. Bliss Organic Garden Cafe – 7 Compton Street, Adelaide. Organic, vegan, locally sourced and seasonal food with plenty of gluten-free, and raw food options. The Raw Kitchen – 181A High Street, Fremantle. Raw, seasonal, plant-based whole-foods. The menu is 100% gluten-free, diary-free and refined sugar-free. Mana Whole-foods – 274 South Terrace, South Fremantle. Most of the food is made on the premises and is vegetarian/vegan, with organic, gluten-free and raw foods available. The organic Circle – shop 1, Pioneer Village, 7 Albany Highway, Armadale. Organic, vegan/vegetarian cafe with lots of gluten-free and raw options. They are also have a microwave-free kitchen. Swan Valley Cafe -990 Great Northern Hwy, Millendon. Vegetarian, vegan, gluten-free, raw menu with meals made daily from locally sourced seasonal produce. Health Freak Cafe – 3 locations – Corner Alvan Street & Railway Road, Subiaco. 148, The Esplanade, Scarborough. Corner Reid Prom & The Boulevard, Joondalup. Everything is gluten-free and refined sugar-free, with lots of vegetarian options. Soul Tree Cafe – Shop 6, 3-5 Railway Parade, Glen Forrest. Wholefood cafe, lots of vegan, vegetarian, gluten-free, paleo and raw food options. Samudra – 226 Naturaliste Terrace, Dunsborough. Raw vegan, vegetarian, gluten-free menu with dairy-free options. Ingredients are seasonal and sourced locally including from the biodynamic kitchen garden on site. Alchemy Cafe -640 Forth Road, Forth. Mostly organic, 100% gluten-free with lots of vegetarian and raw food options. Little Bird Organics Unbakery – 3 locations – 385 New North Rd, Kingsland. Corner Summer Street & Ponsonby Road, Ponsonby. 14 Customs Street East, Auckland Central. The menu is mostly raw, organic, vegan, gluten-free, dairy-free, and without refined cane sugars or soy. Raw Planet Juice & Raw Food Bar – Shop 2, 3 McLean St, across the road from the sea at Paraparaumu Beach, Kapiti Coast. Fresh organic juices, smoothies, superfoods, raw vegan pizza, organic real fruit ice-cream & raw sugar-free, dairy-free, gluten-free cakes & treats. Revive Cafe – 2 locations – 24 Wyndeham Street, and 33 Lorne Street, Auckland. Vegetarian, whole-food cafe with lots of vegan and gluten-free options. Mission : Heirloom garden cafe – 2085 Vine Street, berkeley. Whole menu contains is organic and non-GMO, plus free of processed refined oils, sugars, gluten, grain, legumes. In addition, their kitchen is plastic and aluminum free to avoid adding any extra toxins into your meal. Brodo -1st Avenue at 12th Street NYC. A cafe specialising in bone broth. They sell whole-food bone broths and soup, all gluten-free, all sugar-free, all dairy-free. They have a vegetarian soup which can be made vegan and/or gluten-free on request. Hu Kitchen – 78 5th Avenue, New York. Huge selection of organic, non-GMO foods, non-processed foods. Entire menu is gluten-free, and dairy and grain-free unless noted on the menu. They season with sea salt and pepper and cook with olive and coconut oils only. Plenty of vegetarian options available. 3 Measures Vegetarian Cafe – 15 Broadway, Bangor. Bakery and cafe, where breads, cakes and pastries are baked on the premises using unrefined ingredients. That means no refined grains or sugars. Categories: Food | Tags: gluten-free restaurants, list of whole-food eating establishments, list of whole-food restaurants, list of wholefood cafes, list of wholefood restaurants, paleo restaurants, raw food restaurants, refined sugar-free restaurants, slow food, slow food australia, slow food canberra, vegan restaurants, vegetarian restaurants, whole-food cafes, whole-food restaurants, wholefood dining | Permalink.